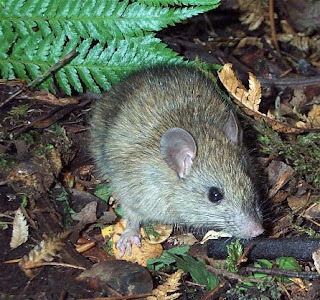 New Zealand has many problems with introduced mammalian pest species like rats. Rats are present in such vast numbers that the most common means of control is in poisoning wild populations. There has been a great deal of work put in to finding more effective and humane ways to poison pest species. Anticoagulant poisons, particularly 2nd-generation anticoagulants such as brodifacoum, are very persistent and have been detected in a range of non-targets including game species (i.e. pigs, deer etc.) and native birds. In the face of increasing anticoagulant contamination of wildlife in NZ and overseas, the present study was conducted to provide further information on Feracol® paste; a potential tool for control of rodents as well as possums in native forest ecosystems. Feracol is a paste bait containing 0.8% cholecalciferol (vitamin D3). Cholcalciferol toxicity to birds is low (i.e. the LD50 for mallard ducks is 2000 mg/kg) and the risk of secondary poisoning for non-target species is low. In 1999, cholecalciferol was registered in NZ as paste bait for possums. This registration application was based on research in the early 1990’s, which demonstrated the high susceptibility of possums to cholecalciferol cereal bait. The effectiveness of Feracol as a rodenticide was assessed in both cage and field trials. This work has recently been published in the New Zealand Journal of Ecology by James Ross of Lincoln University and other researchers based at Connovation. In the cage trials a total of 35 wild-caught and laboratory rats, including both ship and Norway rats, were presented with between 30-60 g of Feracol over 48 hours. Thirty four rats (97%) died in an average of 4.0 days following ingestion of the paste. Field trials were then initiated with the paste delivered in either Philproof® or Striker® bait stations. 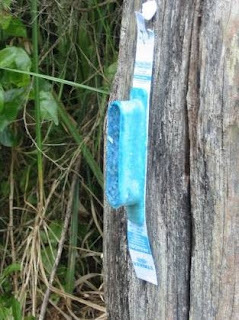 Monitoring of rat numbers (using tracking tunnels) before-and-after the application of toxic bait was undertaken at three sites (Lions Hut, Mangaone and Pakoakoa) in the Te Urewera National Park. At Lions Hut, rat-tracking indices decreased from 78% to 3%; at Mangaone the reduction was 51% to 0%; and at Pakoakoa from 36% to 0%. These trials demonstrate that Feracol is effective at reducing both moderate and high concentrations of ship rats. This is a promising result and providers users with an effective "non-anticoagulant" tool that can be used to effectively target both possum and rodents.